If you go back in time far enough, architects and engineers once were considered to be one and the same. They essentially performed the same role in creating buildings. “They were stonemasons who built things like a Gothic cathedral, and then over time, we started to have more and more expectations of what their buildings would do, which led to an increasing number of roles,” according to Sinéad Mac Namara, an associate structural engineering professor at Syracuse University’s School of Architecture. As technology evolved, people began to have higher expectations as to what buildings should be able to do. This led to the creation of several different roles within the building construction industry and the differentiation between architects and engineers. Since students and professionals alike still get the two confused, it’s worth exploring the different job and educational requirements that each professional must meet in order to have a successful career. First of all, what is architectural engineering? The primary responsibility of an architectural engineer is to focus on a building’s engineering aspects. A person in this role designs the mechanical and structural systems of a building, as well as managing challenges that arise with its electrical and lighting systems. Although architectural engineers work with architects, they are strictly engineers. This type of career tends to appeal to people with strong science and math skills who are interested in the building process. Students should also expect to complete several elective courses on technical topics, as well as at least one internship. Two of the primary responsibilities of an architect are to design buildings and continually manage highly detailed construction projects. Educational requirements are greater in this role than they are for those pursuing architectural engineering jobs. Although a Bachelor of Science in Architecture is the minimum requirement, most employers prefer candidates who have completed a master’s degree. In the US, colleges offering architecture programs provide students with the option of enrolling in a five-year Bachelor of Architecture with an intense focus on design, technology and architecture history. 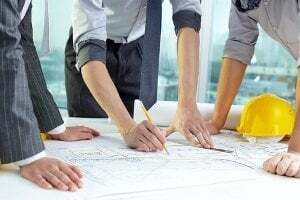 After fulfilling all college requirements, students are eligible to take the Architect Registration Examination for licensing as a professional architect. Some people begin their careers in architectural engineering, and later complete training to work as a professional architect. Fortunately, many colleges offer degree programs that enable this type of career mobility. Andrew Armstrong is a freelance writer, construction technology enthusiast, and digital strategies consultant based in the San Francisco Bay Area. His recently published works include contributions to Renewable Energy World, BPlans.com, Entrepreneur Architect, and Tech.co. A graduate of UC Berkeley through the interdisciplinary studies field program, Andrew writes and consults for numerous clients in the fields of architecture, engineering and construction. Such a great ideas about engineering and helpful for us.